Greenies edible dog treats is a healthy smart treat for your dog. Natural, safe and healthy dog treats that is good for the environment and your pet. Quilted Super Deluxe Dog Bed Rectangle, 21" x 36". 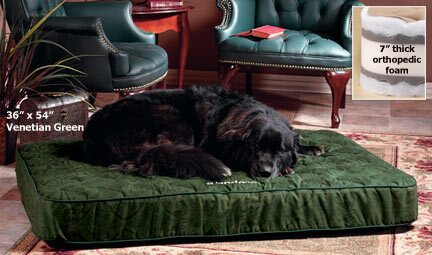 Plush, durable and easily washable dog bed in Olive Brush Stroke color.